Entrepreneurs are passionate about their products and services. Their strengths are often in those business disciplines closest to the customers and product: sales, marketing, engineering, and production. Financial management and accounting are often viewed as necessary evils. As a result, small business owners often postpone investments in strong financial management practices until the company reaches some mythical milestone in the future. And that can cost them dearly in the long run. This is the story of a manufacturer that was too busy growing and making profits to focus on financial planning. “As long as the company is growing and profitable”, their thinking went, “why waste money on sophisticated budgeting systems and financial planning?” Early in the company’s history, the owners could meet their limited capital needs through personal loans and deferred compensation. And it worked. The company grew steadily for many years, providing high-margin, semi-custom products to small customers. As revenue passed $3 million per year, the owners decided it was time to compete for larger orders. They developed a strategy to produce high volumes of a few standard products and market them to larger customers. They also secured their first major bank loan to finance product engineering and manufacturing capacity. The new business model was a stunning success. Average order size grew from $800 to almost $3,000 in only a year and revenue was accelerating, but there was a problem. The rudimentary annual budgeting process that served them well in the early years didn’t anticipate the working capital impact of selling higher volume orders to large customers. Their gross margins dropped, payments slowed and inventory climbed. The business was growing fast and profitable, but they were running out of cash! Their new working capital requirements were much greater than anticipated - more than the owners could cover through deferred compensation and personal loans. When they approached the bank for a substantial line of credit, they discovered that their liquidity problem had pushed them out of compliance with their original loan. The bank demanded financial reports and credible budgets that the owners struggled to provide. Production slowed, orders were lost, new customer relationships suffered, and the owners had many sleepless nights. The company survived a tumultuous year and eventually resumed its growth, but the setback cost them a year of lost revenue growth and profit. It also lowered their revenue trajectory, which impacted their valuation when a large competitor purchased them three years later. Without the business interruption caused by the cash flow crunch, the owners would have realized at least $ 2 million for the company more at the time of the sale. The decision to defer investment in more sophisticated financial planning and budgeting systems was a costly one. 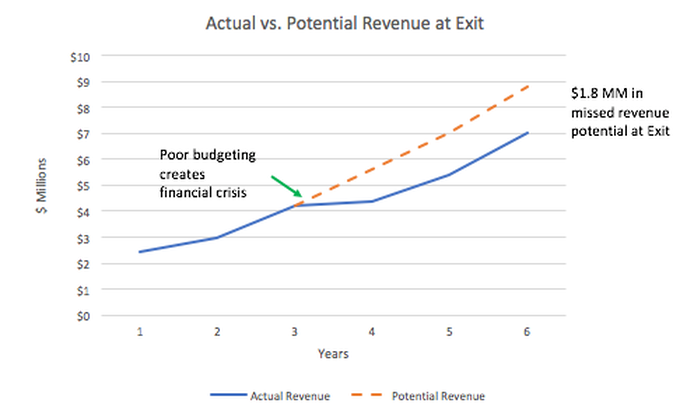 By “saving” money on financial management early on, they lost profits, lowered their valuation by more than $2 million at exit and endured a year of unnecessary stress. If the company weren’t so successful to begin with, an error like this could have easily bankrupted them. 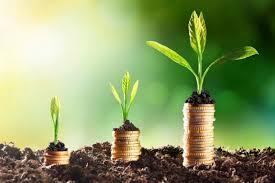 Growing a successful business requires a broad array of skills. Long-term success depends on assembling a team of employees and advisors with complimentary abilities. At Venture 7 Advisors, we’ve all successfully started, grown and sold companies, and we’ve helped our clients to develop integrated operational plans to avoid costly surprises like this. Don’t hope for success, plan for it with the help of people who have been there before.